"The navigation bar at the top will help in getting the most out of our site"
Now let's start your journey into the upholstery repair process! The Professional Kit: is as stated, a professional grade upholstery repair kit! This is the same kit that I use in the field for my commercial upholstery repair and restoration business. I feel this kit, and its supplies are the best on the market! I've been doing commercial upholstery repair for over 20 years, and I've seen many products come and go.The supplies in this kit are state of the art, and will be around for a long time! Buy this kit and I know it will not disappoint you! The Pro Kit comes with a very easy to use step by step manual, and countless tips and tricks with plenty of online support. The Mega-Combo Kit: is packed full of upholstery supplies, and can handle almost any upholstery repair job! This kit combines the ability to repair Leather, Bonded Leather, Naugahyde, Vinyl and Canvas also with the flexibility to fix Cloth, Velour and most any other Fabrics. This kit can also repair Carpet, Leather Jackets and Shoes. A Great kit and easy to use. You can't go wrong with this choice! The Combo Kit: is a great do it all starter kit for novices and handymen alike. Repair Vinyl, Leather, Canvas, Cloth etc. This kit is very easy to use, with plenty of step by step instructions along the way. You too can repair upholstery like the Pro's. Great do it all kit for the novice, with little or no experience! The Leather And Vinyl Gold Kit: is the #1 selling kit in our vinyl and leather repair line. Repair Leather, Bonded Leather, Naugahyde, Vinyl and Canvas. This kit is very easy to use, with simple and detailed step by step instructions. Great for the handyman and novice alike. Give this kit a try and see for yourself just how easy it is to repair upholstery! A nice easy to use repair kit. The Leather And Vinyl Kit: is perfect for the person who owns a heat gun or has access to one! Fix Leather, Vinyl and Canvas with ease! This kit is loaded with the top of the line vinyl, leather and canvas upholstery repair products. Very simple to follow step by step instructions. A great starter leather repair kit! The Mega-Fabric Gold Kit: is our top of the line fabric repair kit! This kit includes so many fabric fibers you will be able to repair just about any color out there. So much product you can fix upholstery for your family, and friends. Simple to use step by step instruction manual, with online support. Don't miss out on this kit, it is the top of the line! The Fabric Repair Kit: is the middle child of our fabric repair kits. The same professional grade products we use in all of our kits are also in this fabric kit! Repair your own Home, Office and Auto upholstery. The fabric repair process is designed to be very simple to follow. Mix the fibers together as you would do in mixing paint. This process will allow you to achieve your very own custom color match every time. A very easy to follow step by step manual is included! The Fabric Mini Kit: is the smallest in our fabric repair kit line. This kit was designed for smaller upholstery repair jobs. If you only have a few eye sore rips and holes, this is the kit for you! Professional grade supplies are used in this kit. Repair Cloth, Velour and many other Fabrics. This kit can even repair your carpet! Included step by step instruction manual, and plenty of access to online support! The Smallshot Kit: came about when a handful of customers asked if we offer a small one-time use kit? At the time we did not, but now we do! The vinyl and leather repair kit was born. Now you can repair vinyl and leather with ease! This kit may be small but it will standup to your toughest repair needs. It has the same professional grade products we use in all of our upholstery repair kits! Our mission at Magic Upholstery is to supply the average consumer (novice) with the kits, and knowledge, to repair their own home furnishings. Now you can fix Couches, Chairs, Recliners even Leather Jackets and Shoes. We give the average person a chance to repair items that only professionals could fix, or couldn't be repaired at all. 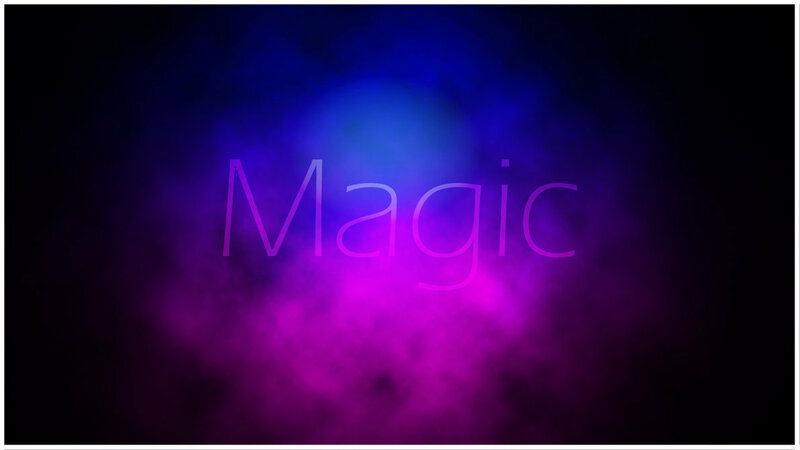 Now its time to show you some of our Magic. It isn't a trick, but our Amazing repair process and products doing all the real Magic! Magic Upholstery can set you up with the right kit for the right job, at a reasonable price. Now you too will be able to repair Leather, Vinyl, Naugahyde, Velour, Cloth, Canvas and many other fabrics. Just think of all the materials you have in your home, now you can fix them all! Imagine you will not have to call some slow, high priced professional to come out to your home on a service call. The cost of one professional fabric repair alone would pay for the Magic Upholstery Kit! Repair all the damaged furniture in your Home, Office, Car, Boat even the Lawn Furniture. Repair Couches, Loveseats, Chairs, Recliners, Bar Stools, Carpet, Car Seats, Arm Rests, Dashboards, Headliners, Boat Seats, Motorcycle Seats, Snowmobile Seats, Bicycle Seats, Tents, Tarps, Canvas Covers, Patio Umbrellas, Leather Coats, Shoes and the list goes on! The products in our Magic Upholstery Kits are the same used by many professionals! In no time at all you will be doing the type of Magic,the professionals get paid for. Making a rip vanish or a large hole disappear. Amaze your family and friends with these new repair tricks! After the material has been repaired, only you will know it! I have been in the upholstery repair business for over 20 years! In my years of experience I have repaired upholstery for the Restaurant, Hotel, Furniture, Auto, Marine, Motorcycle and Snowmobile industries. I want to pass this knowledge onto you, the average person with little or no repair background. I have designed a process that is simple, and cost effective! All of the products used in the Magic Upholstery Kits are the same supplies that I have used in my restoration business for years. The processes have been tested in the field, with excellent results! I will include all the repair processes, along with support and some tricks. All this will be included in your upholstery repair manual. Please view all of the kits, and choose the one that is right for you. Now its time to start making some Magic of your own! Give it a try and you just might Amaze yourself and your family. Thank you, and remember our system is so easy even you can "Do-It-Yourself"! Scroll Down For More Kit Information! The Magic Professional Repair Kit : Is a fully loaded Do-It-Yourself Kit. It even includes a heat gun. You will be able to repair Leather, Vinyl, Naugahyde, Canvas,Velour, Cloth and Carpet. Fix all the upholstery in your home, car, boat, and anything else that is upholstered.This Kit has enough product to use over and over again! Truly a must have for your Do-It-Yourself arsenal. Give it a try you will not regret it! Magic Mega Combo-Kit - is a fully loaded upholstery repair kit, with loads of extras! Now repair Leather, Vinyl, Cloth, Canvas, Velour and many other fabrics all with one kit. You can even repair Carpet, Leather Jackets and Shoes. The products in our kits are made to last, giving you a professional looking repair the first time! Magic Combo Repair Kit : This kit is truly magic, and will give the Do-It-Yourselfer a great start on the way to repairing furniture in your home, auto, boat and any other upholstery you can think of.This kit has an electric heat gun included! This kit has the versatility you are looking for. With this kit you can repair Leather, Vinyl, Naugahyde, Canvas, Cloth, Fabric, Velour, Carpet and much more. Order one today, and start repairing not replacing! Magic Fabric Gold Repair Kit : Is a truly versatile fabric and cloth upholstery repair kit. You will be able to repair the fabric in your home, car, boat etc... with enough fibers to repair it all and then some. Fix your Cloth, Fabric and Velour upholstery. Nice kit for car seats and carpet. Magic Leather & Vinyl Gold Kit : Repair Leather, Vinyl, Naugahyde, Canvas and more.This kit is a true must have for anyone with leather furniture and pets. One real nice feature is that an electric heat gun is included in this kit! You will now be able to repair all those surface scratches and holes, Check it out! You will also have Online access to help and tips. Magic Leather & Vinyl Repair Kit : (Without Heat Gun) This kit has all the supplies needed to do basic vinyl and leather repairs. You will be able to repair Leather, Vinyl, Naugahyde and Canvas. A heat gun is needed to do any leather or vinyl repair, so if you already own one this kit is for you! Magic Fabric Repair Kit : Is very versatile package for repairing cloth and velour along with many other upholstery fabrics. You can even repair carpet rips! Magic Fabric Repair Mini-Kit : is a smaller version of our professional fabric kit. Made for small fabric repairs on cloth, velour, fabric and carpet. Fix your home furnishings and auto upholstery & carpet. The Magic Small Shot Kit is just the right amount of product for small onetime usages. This little kit has the same professional grade products as all of our kits. You can still get professional results in this little package! Repair Leather, Vinyl and Canvas. Fix your Couch, Chair, Loveseat, Car and Boat seats, Motorcycle and Snowmobile seats, even repair Leather Jackets and Shoes. You will find that our instruction manual is very easy to follow, for great results every time!